All summer, Jess pushed himself to be the fastest boy in the fifth grade, and when the year’s first school-yard race was run, he was going to win.But his victory was stolen by a newcomer, by a girl, one who didn’t even know enough to stay on the girls’ side of the playground. Then, unexpectedly, Jess finds himself sticking up for Leslie, for the girl who breaks rules and wins races. 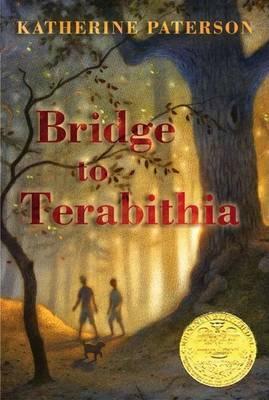 The friendship between the two grows as Jess guides the city girl through the pitfalls of life in their small, rural town, and Leslie draws him into the world of imaginations world of magic and ceremony called Terabithia. Here, Leslie and Jess rule supreme among the oaks and evergreens, safe from the bullies and ridicule of the mundane world. Safe until an unforeseen tragedy forces Jess to reign in Terabithia alone, and both worlds are forever changed.